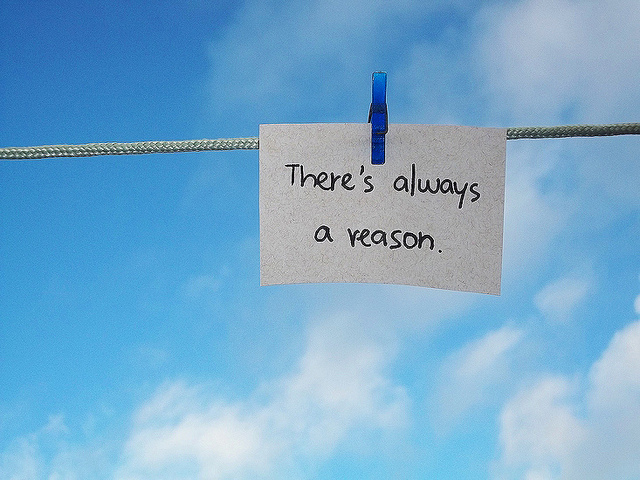 You know the old adage – everything happens for a reason. This is a statement usually applied to situations we can’t really make sense of just yet, that we are having difficult digesting or that are way out of the realms of our desires. Of course it happens for a reason. The reason, of which, we are only ever blessed with with the benefit of hindsight. There are some things that happen that are completely out of our control. This statement can be comforting during those times. It reassures us of hope. That one day, things will become clearer and we will understand the bigger plan. But there is a problem with this statement when it’s used when things are in our control. When it’s used then, it relinquishes us from all responsibility. It’s in effect taking the spotlight or focus off ourselves and assigning blame, nicely and neatly, to something else. But you and I both know that’s not really constructive. If there are patterns that consistently show up for you, then, the common denominator is… well… you. Can you spot the keyword here? It’s patterns. If you’re dating the same type of personality, if you’re getting the same type of boss, if you’re listening to the same type of woes from all your friends – that’s happening for a reason – one of which, if you take a closer look, just might be within your control. I’ve had to swallow this bitter pill recently.